Class Size: Why Does It Matter? A smaller class size will ensure that your child will receive a more personalized education. This is because the teachers will have more time to go to each student in the class and help them understand the various topics. Every child learns in a unique own way and at their own pace, and with a smaller class size, this helps teachers adjust their teaching to suit their students properly. A class that has fewer students will be able to enjoy much more class activities compared to a larger class. This is because teachers will not only have an easier time managing their students, but it is also much more affordable and easier. 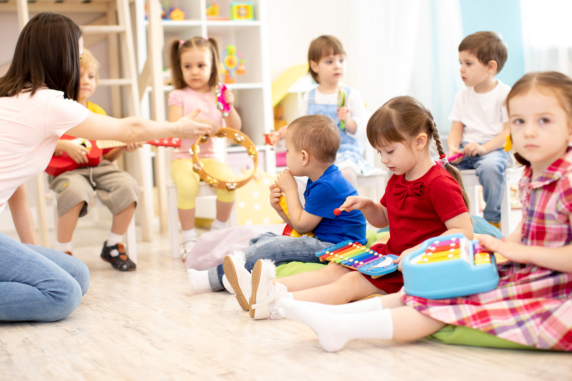 By enrolling your child in a day care center in Garner, NC that features smaller class sizes, they will be able to enjoy more activities such as school programs and field trips. This can help improve the education they are receiving and expand their educational experience. Another reason to find a school with smaller class sizes is because it helps encourage participation. It can be intimidating to participate, answer questions, and do things in front of a large class. However, a smaller class feels more like a group of friends and it will be easier for your child to participate. This can also help build their confidence. Those are just a few of the many things that you will want to consider when you are looking for quality care for Children in Garner, North Carolina. If you would like to find out more about finding a good school for your child or about our educational activities, please feel free to get in touch with Little Believer’s Academy for more information today. This entry was posted in Class Size and tagged Class Activities, Day Care, Personalized Education. Bookmark the permalink.